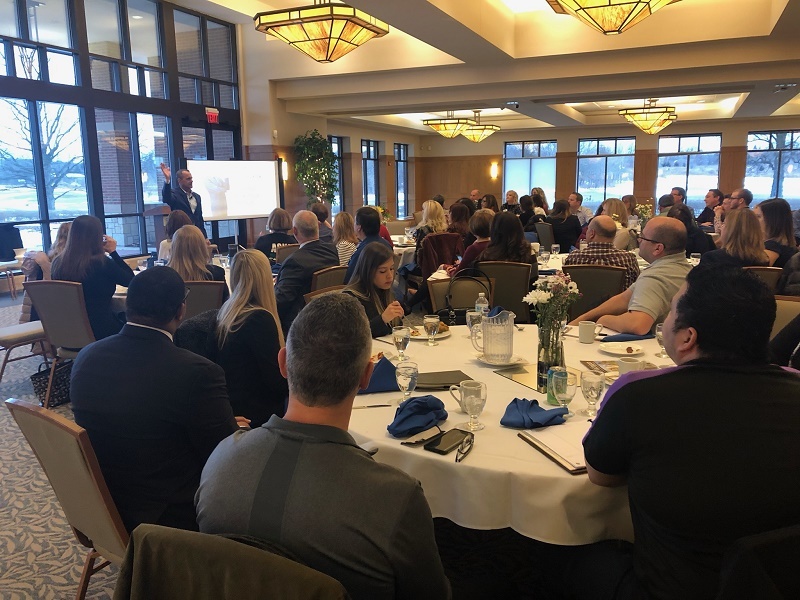 Lakes Area Chamber of Commerce partnered with our neighboring chambers: (Hartland Area Chamber of Commerce, Huron Valley Chamber, Kensington Valley Chamber of Commerce, and Novi Chamber of Commerce) for a great Multi-Chamber Breakfast & Educational event at Lyon Oaks Golf Course today. A BIG thank-you to Katherine’s Catering for the fabulous food and to our speaker Michael Jeffreys with The Yes Network. Thanks for joining us! Hopefully you picked up a few pointers you can utilize as you do business in 2019!